My Bargain Basket: FREE Target Merona Socks Too! Besides the FREE Merona handbag that I told you about here. 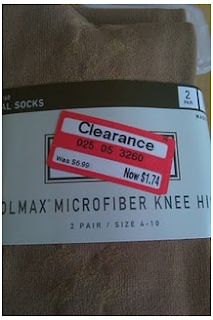 You can do the same type of deal with the Merona socks at Target. Get your coupon for $2/1 Merona socks here and check the clearance section at your favorite Target store!